Below you'll find everything you need to organize a wonderful Disney "Frozen" themed party! From fun Anna & Elsa party outfits, as well as some cute Disney "Frozen" party invitations, to "Frozen" balloons, party banners, plates and napkins and many more! Planning any celebration or event starts with themed party invitations! 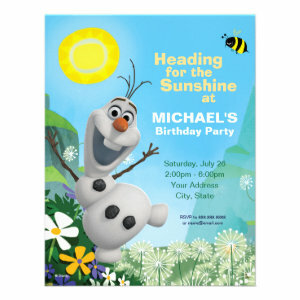 If you are looking for some great Disney "Frozen" announcement templates, visit our partner page on Disney Frozen Birthday Party Invitations.